Having dominated the European market for years, Custom Paints have been used worldwide for over 17 years and are now beginning to build a presence in the US as well. Frankly, we think it’s about time! The Custom Paints brand consists of Inspire Paints, Kustom Canz, and Specialist Paints- each company addressing a specific niche within the paint market. 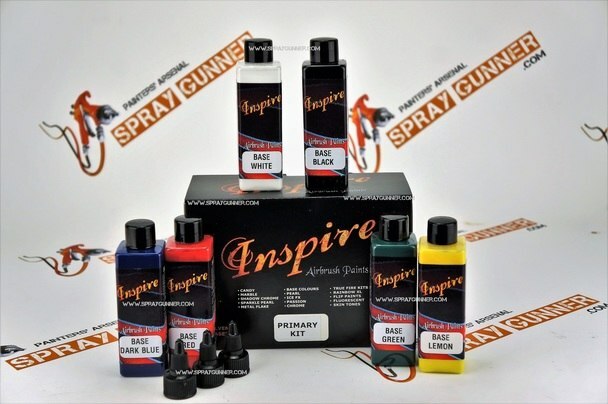 Inspire paints is their airbrushing offering, Kustom Canz presenting their line of aerosol paints, and Specialist Paints serving mainly the automotive finishing sector. Today we are going to talk about their line of Inspire Paints and why you should check them out if you haven’t already! With both water-based and solvent-based offerings, the Inspire coatings can be applied to almost any surface that can be painted including plastics, glass, canvas, metals, wood and much more. These are highly pigmented paints, specifically designed for airbrush use and as mentioned, are ready to spray out of the bottle. Something I think we can all agree on is the benefit of having having variety to choose from, not only in color but also type of paint. 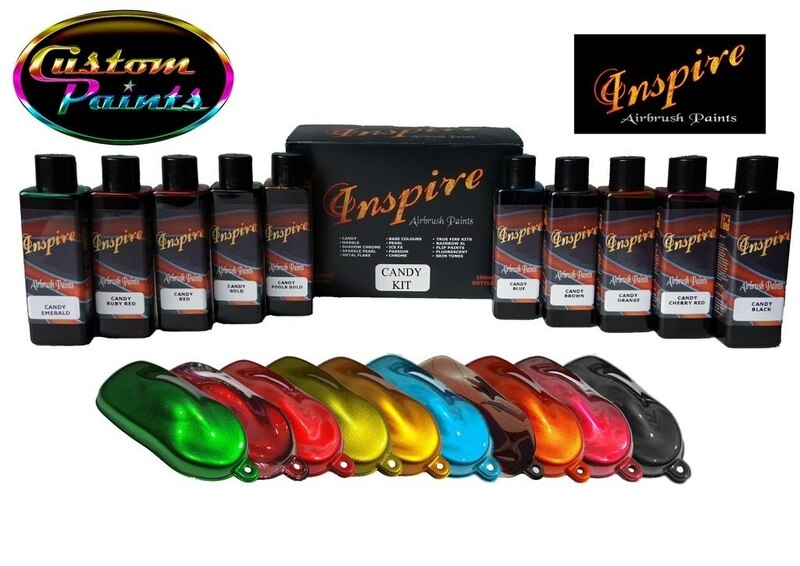 Inspire’s lines of paint range in option of bases, candies, metallics, chromes, pearls, and even color-changing paints. When sprayed, the paints feature good coverage, atomization and flow through the airbrush- capable of creating really fine lines. The candies require extra coating to build up the proper levels of color saturation; however, this is not necessarily a bad thing because it will avoid leaving streaks in your work. For some of the thicker paints you may need to use some reducer in order to get the best flow through the AB and for high-detail work (such as fine lines, highlights, etc). As far as usability for the hobbyist- the paint performs quite well in action. It has the ability to spray quite fine, enabling you to get some great detail straight out of the brush. Another interesting feature is that the paints work quite well with erasers, allowing you to create some amazing textures. But wait, there's still more! 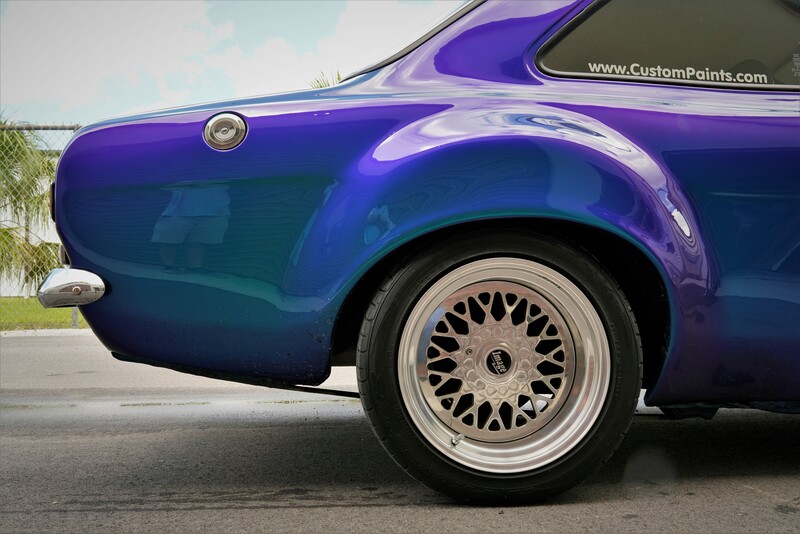 Custom Paints' automotive segment offering- Specialist Paints, produces their own 2k Clear Gloss Coat which reacts best with their paints to give you unmatched quality in your finish. If your work consists of automotive finishing or creative custom paint jobs- this is a line of paints you should be aware of, and hopefully are using to deliver unique, one-of-a-kind designs. No other manufacturer has this range of paint options, nor is there anything on the market that can compare to Inspire’s vast offering of special effects paints. If you are trying to stand out and create work that makes a statement- look no further! Grab a few colors and experiment with some of the most unique paints on the market!